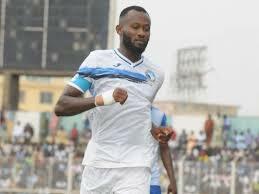 Enyimba Deny Captain Udoh Quit Rumour – Royal Times of Nigeria. 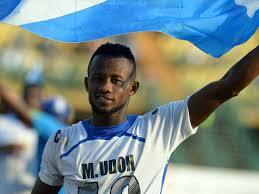 Enyimba have debunked reports that their captain, Mfon Udoh, has quit the club but claim he was suspended for misconduct and indiscipline. Reports emerged this morning that Udoh who is the all-time record goal scorer in the history of the Nigeria Professional Football League has severed ties with the People’s Elephant. But, the two-time African champions have moved to deny the claim and insist that the forward is still part of the team. A statement on Enyimba’s Twitter handle said there is no truth in the circulating report as the player was suspended last week for misconduct and indiscipline. Enyimba will face Rwanda’s Rayon Sports in the CAF Confederation Cup quarter-final, first leg tie in Kigali on Sunday.